This weekend my family and I got back to one of our favorite past times. Yep you guessed it hiking. It had been awhile since we have gone. I believe it’s been about two months. Our last hiking adventure was when we visited Cheaha State Park in Alabama. So since it has been so long it was definitely time for another trip. This time we headed back to North Georgia. We visited Bell Mountain. Bell Mountain is located in Hiawassee, Georgia. You can hike or drive to the top. This time we opted to drive to the top. Just a little warning if you opt to drive to the top make sure your car is in great condition because the drive is steep. The Husband had to put the car in gear 3 to go up. What is really cool about Bell Mountain is that you are able to spray paint the rocks. We didn’t do that this time because when we stopped to get spray paint The Husband was told that it is now illegal to do it and if we did we could be arrested. But when we got to the top there was a sign saying that it was okay just not to spray the stairs or railings. Nishe’ was so disappointed cause she really wanted to spray paint a rock. We promised her we would come back. If you decide to take this trip I recommend calling and confirming whether or not this is true. The views at the top of this mountain are absolutely amazing. I think this place is great for a photo shoot if you wanted to have one the painted rocks makes things stand out. Everywhere you look there is just nothing but gorgeous lands. There were hawks up there flying around. Only complaint I had was there were so many flies. But when you’re in nature I guess you have to embrace all of it. These hikes and adventures are so peaceful and stress relieving. It also allows us to bond as a family. Moments that I am enjoying even more now that my kids are getting older. My daughter will be graduating next year. I am going to enjoy every moment I get. 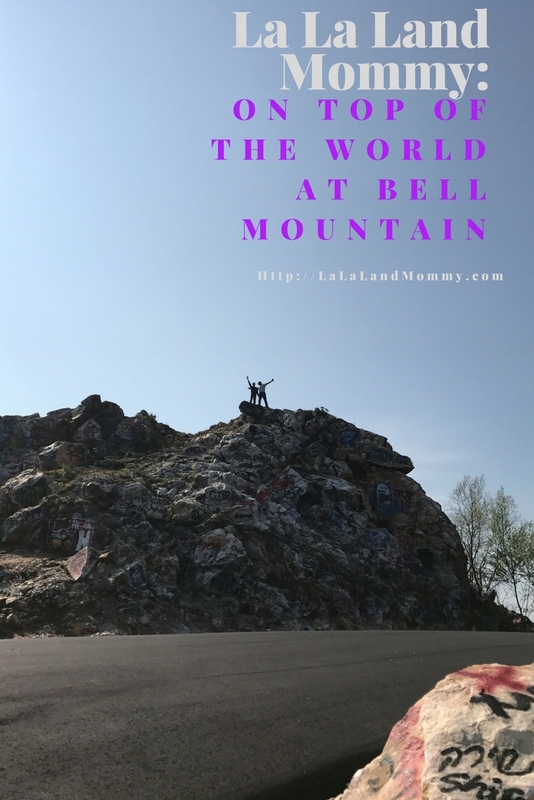 To visit Bell Mountain is free. It is a two hour drive from where I live. It is definitely worth a trip up to visit. Trust me you will not be disappointed. We had so much fun. I would love to know more about the area & the hike up. Why were the flies around? Do you have or did you take pictures of hawks? 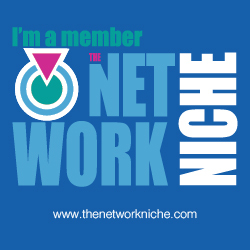 I like the article well written just add more information. The hike up was very nice. I think I might have one picture of the hawk. North Alabama sounds great. 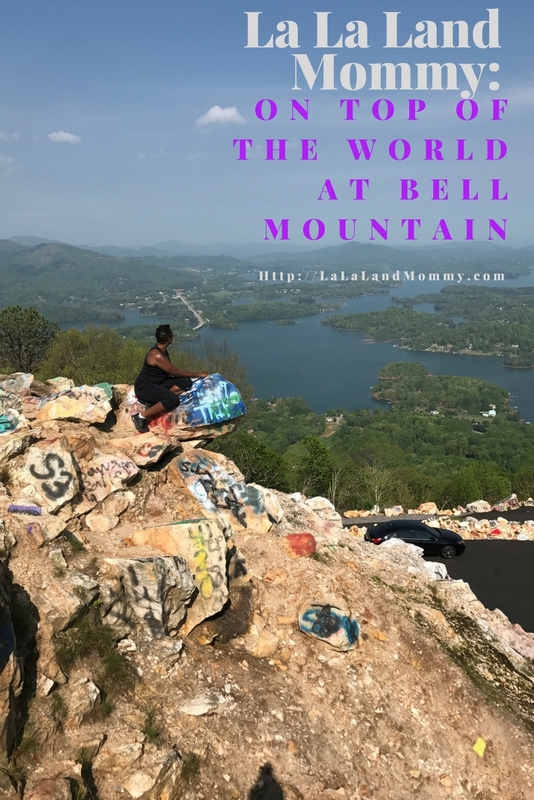 I think you will love Bell Mountain. It is so pretty. Bell Mountain sounds like a nice getaway trip! I wonder why it's not allowed to spray paint the rocks anymore? It looks like you had a great time! I so wish I knew why the lady gave us that information. There was a sign saying that we could. My daughter was really disappointed. But hopefully we can make it back up there soon. It sounds like you guys had a great time. 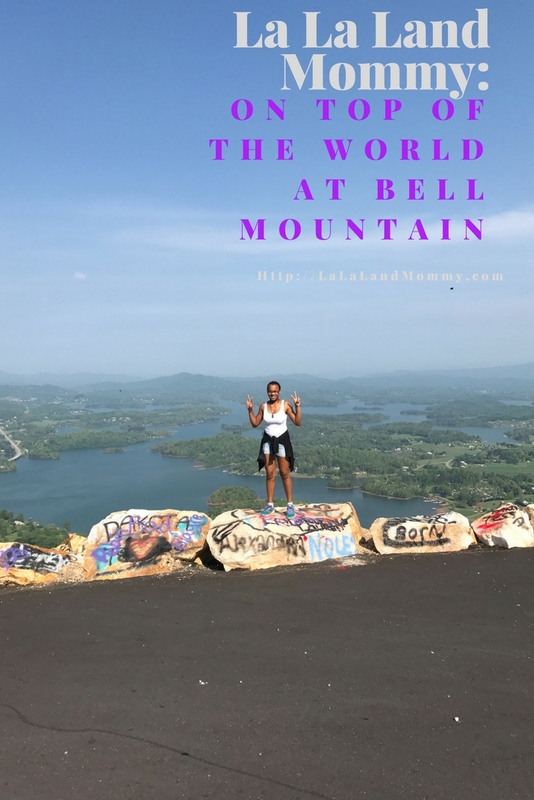 I will definitely consider the Bell Mountain hike the next time I'm in GA. I have a few friends who would love this idea. Thanks for sharing. Yes we had so much fun! It is definitely worth the drive. You will love it. I am obsessed with street art so I would have gone crazy with the rock spray painting. My boo and I also recently went on a hiking adventure and it was awesome. Challenging, yet exhilarating! You definitely would have loved it. It was so beautiful! Hope you had a chance to check it out. These views are absolutely gorgeous! I am not a huge hiker but this looks well worth it! Awesome shots! I'm curious about other interests in the area. After the hike, did you find restaurants or other local spots? There were a few small restaurants in the area. We didn't check them out but that's something I want to start doing. I was disappointed myself just reading that you didn't get to spray paint a rock. That sounds like a cool way to do a 'we were here' moment with the family. Cool place to visit!